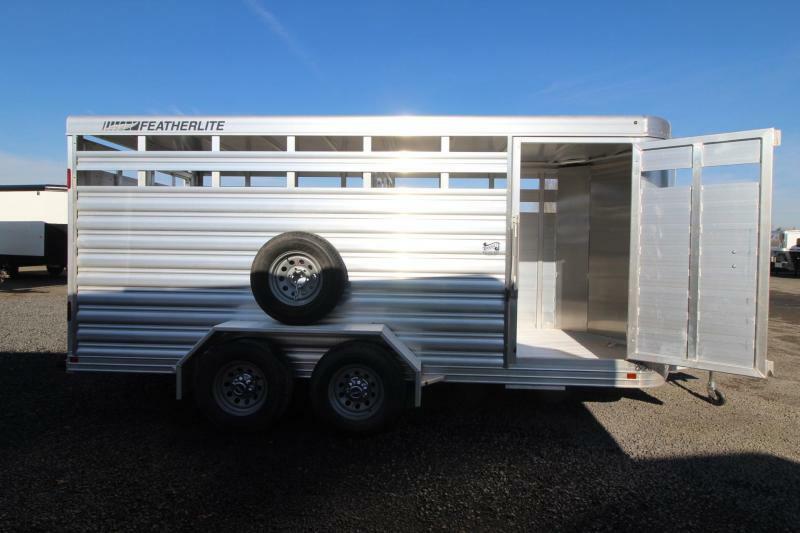 Recently enhanced with new side panels, the Featherlite Model 8107 bumper pull stock trailer is a compact model, perfect for hauling a few livestock just about anywhere across the farm or ranch. 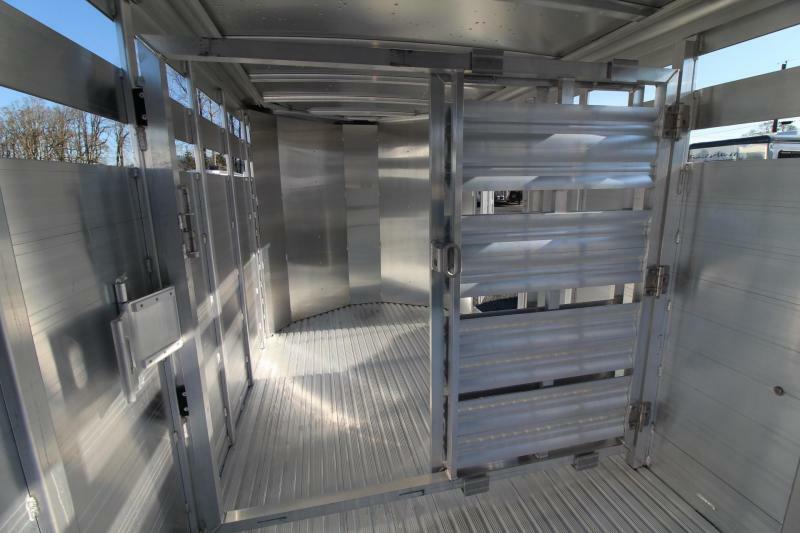 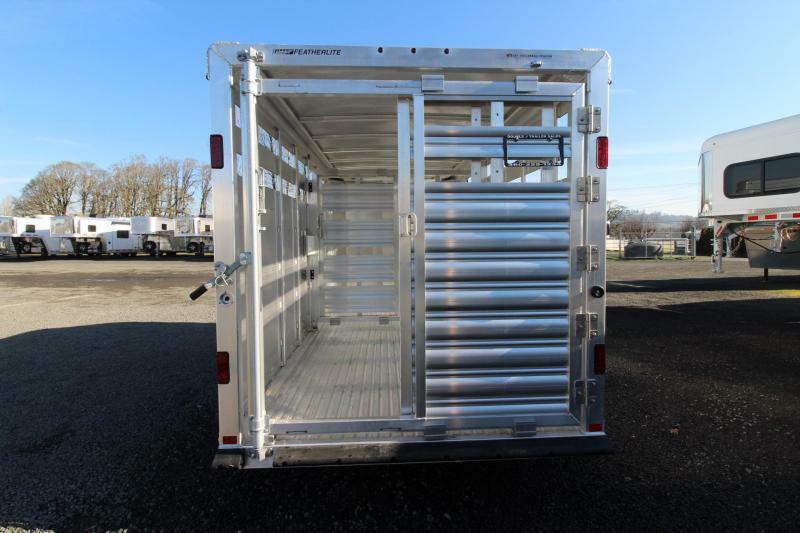 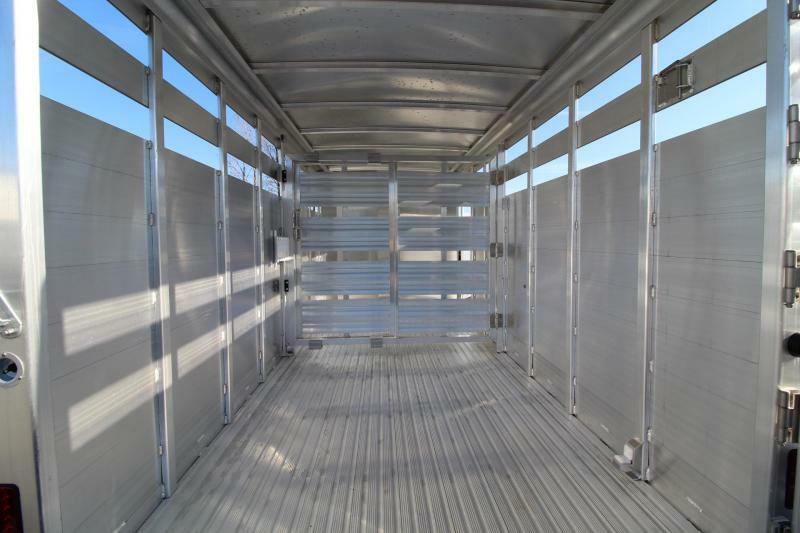 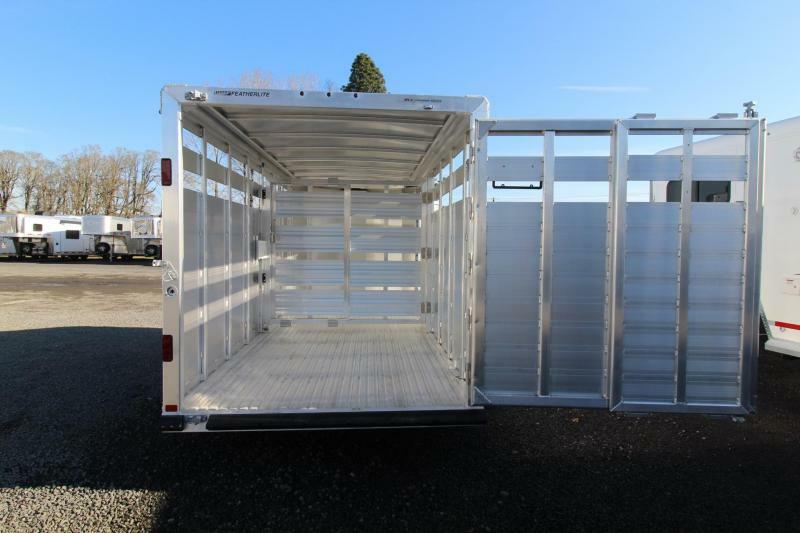 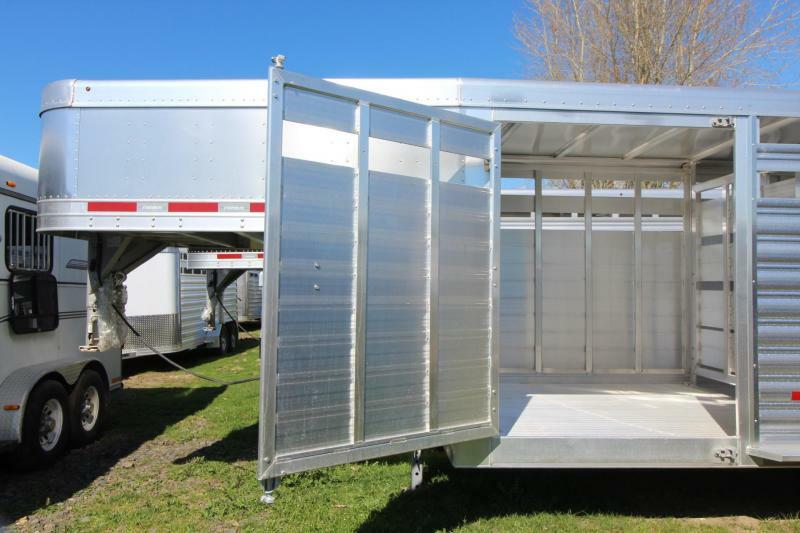 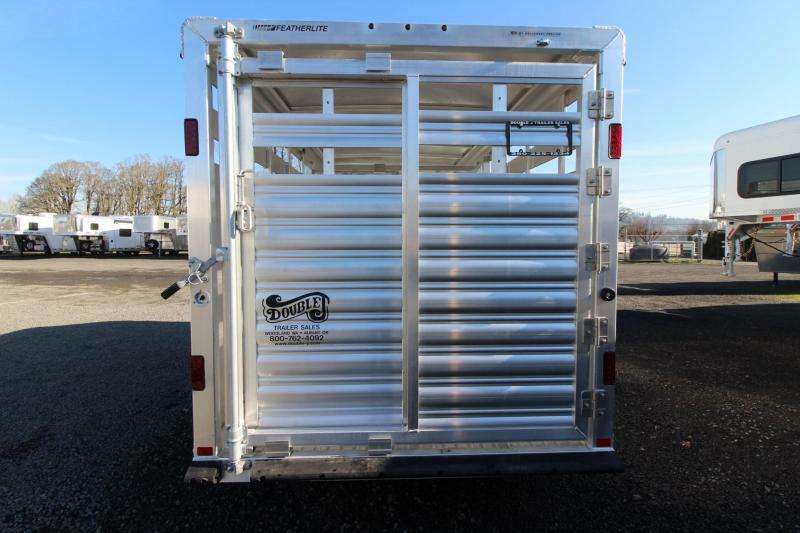 This innovative design eliminates wheel wells that cut into the trailer, ensuring a better fit for your livestock. 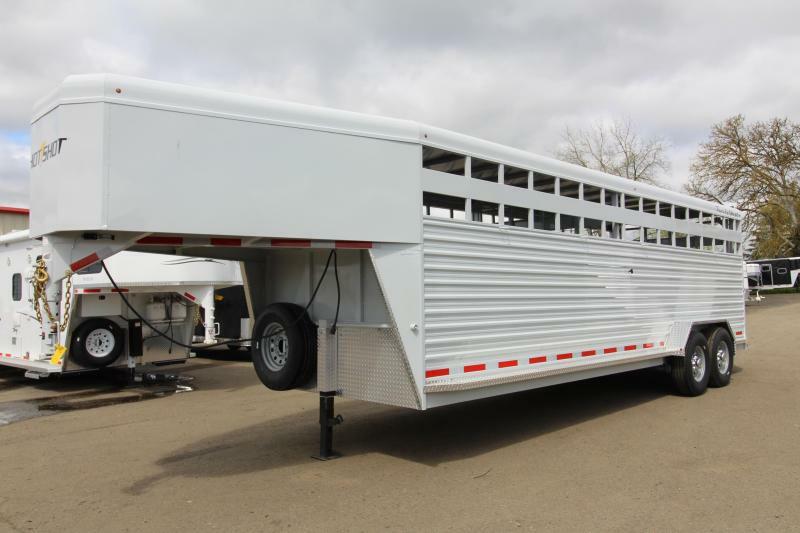 Model 8107 also makes a great show trailer. 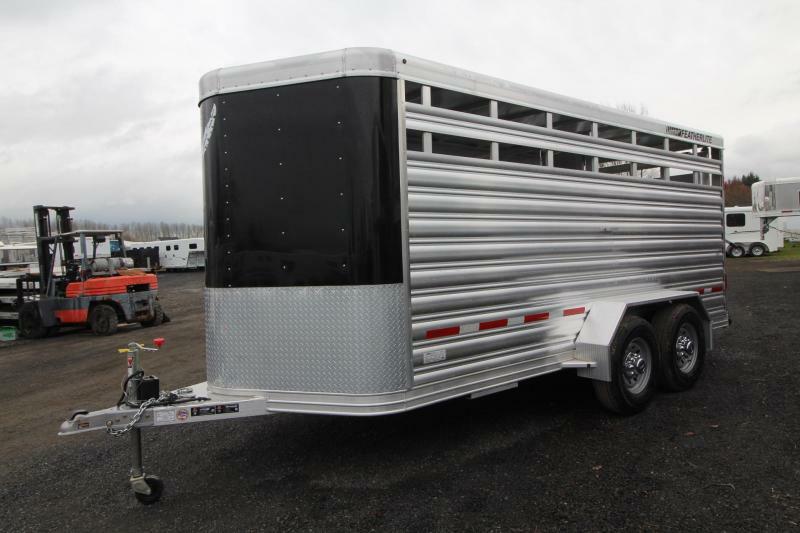 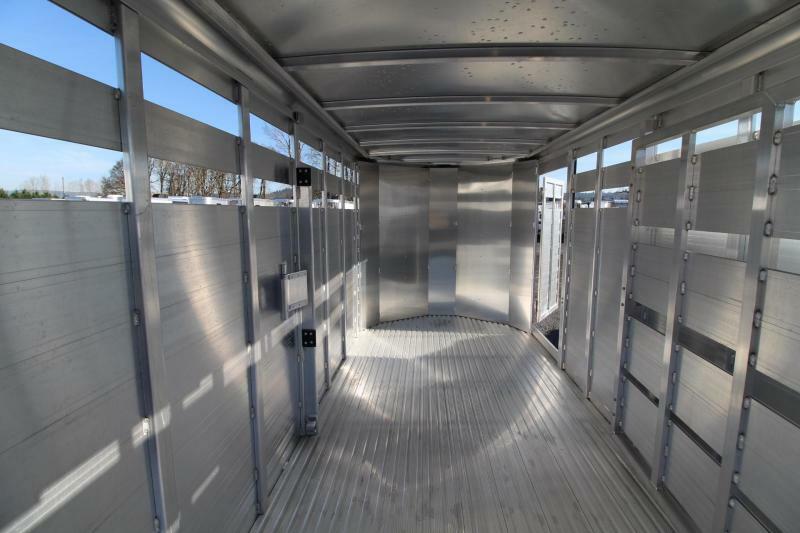 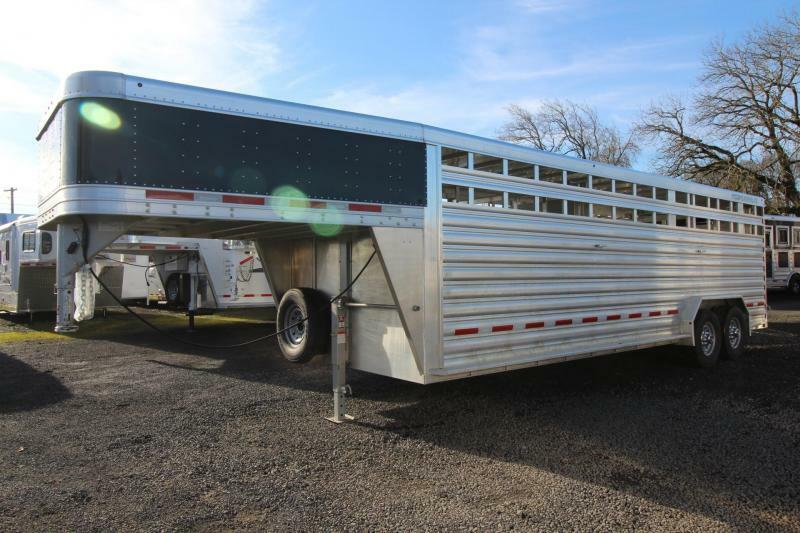 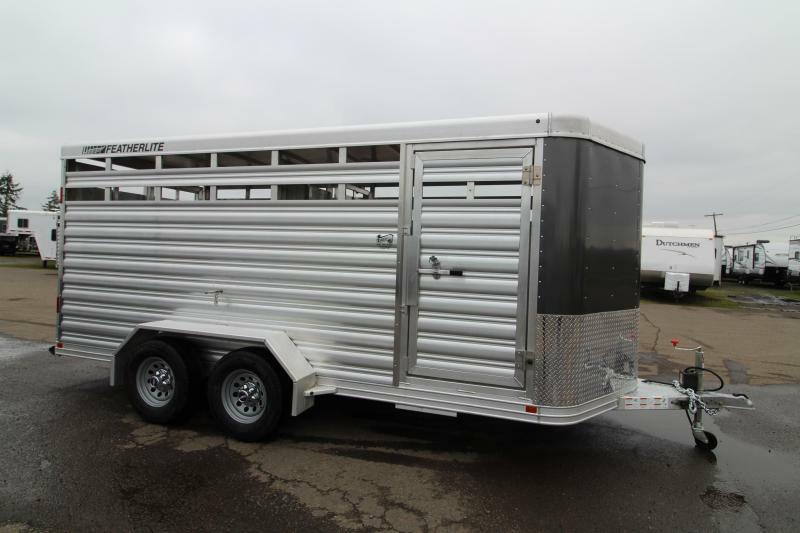 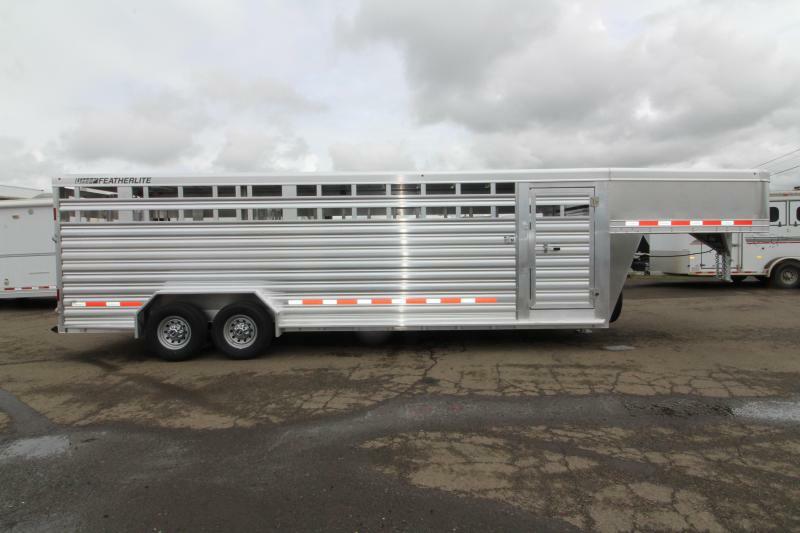 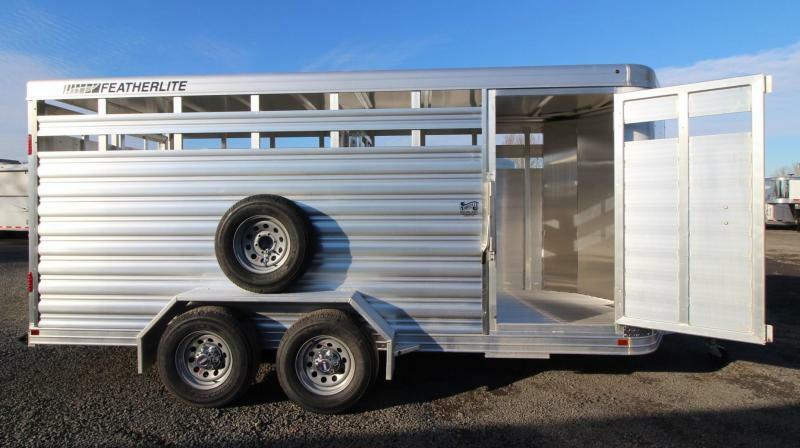 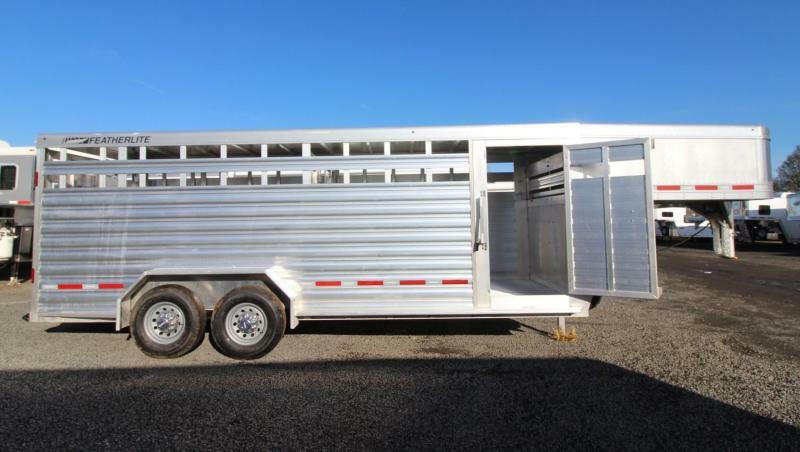 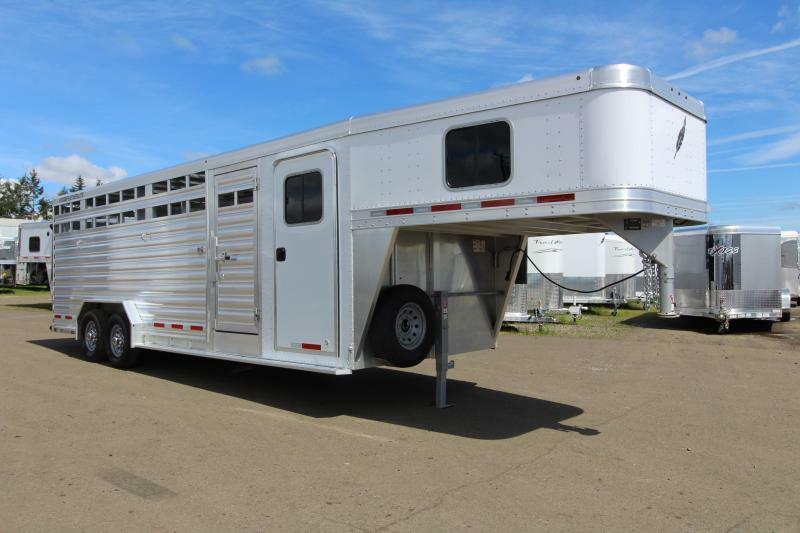 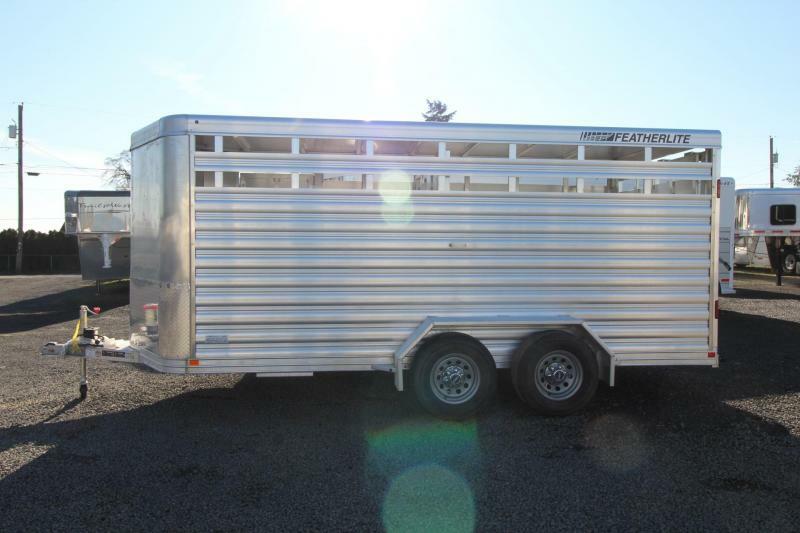 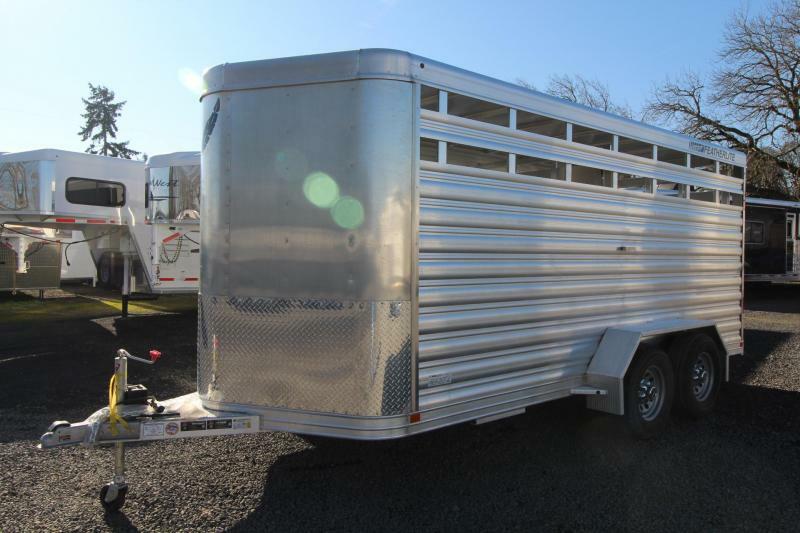 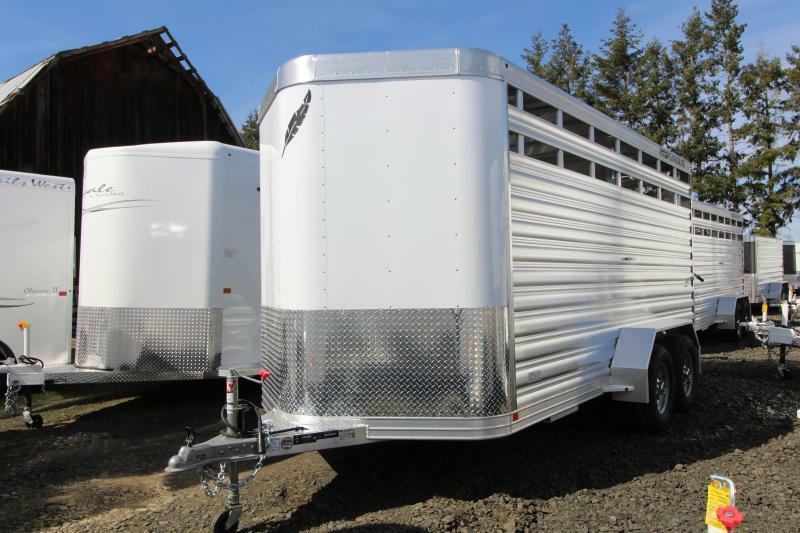 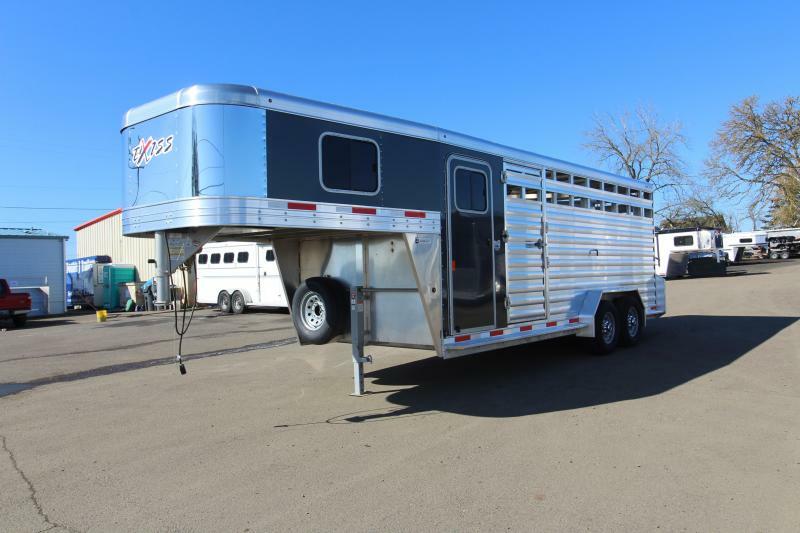 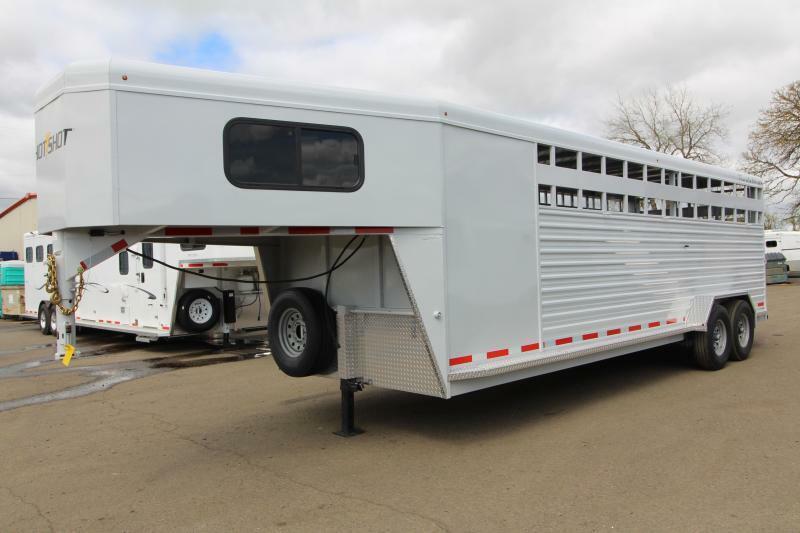 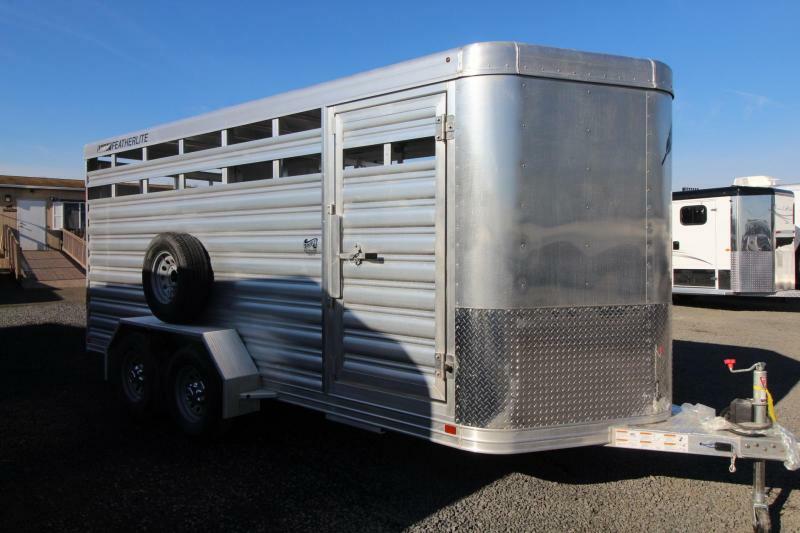 Various options are also available to customize the Model 8107 as a combo trailer for hauling horses and livestock both.